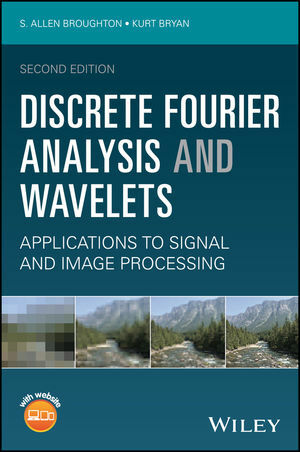 Discrete Fourier Analysis and Wavelets introduces a new chapter on frames—a new technology in which signals, images, and other data are redundantly measured. This redundancy allows for more sophisticated signal analysis. The new coverage also expands upon the discussion on spectrograms using a frames approach. In addition, the book includes a new chapter on lifting schemes for wavelets and provides a variation on the original low-pass/high-pass filter bank approach to the design and implementation of wavelets. These new chapters also include appropriate exercises and MATLAB® projects for further experimentation and practice. Kurt Bryan, PhD, is Professor of Mathematics at Rose-Hulman Institute of Technology. Dr. Bryan is a member of MAA and SIAM and has authored over twenty peer-reviewed journal articles.